Awarded the Heisman nomination from JA are (from left) Alison Turbeville and Duncan Maxwell. 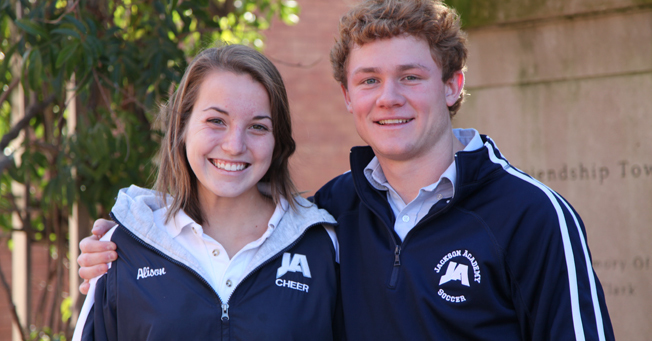 Two Jackson Academy seniors have been chosen to represent JA in the competition for the prestigious Wendy’s High School Heisman Award based on their academic aptitude, athletic talent, and exceptional commitment to their school and communities. The program, awarded in conjunction with the collegiate Heisman, celebrates the achievements of the nation’s top high school seniors both in and out of the classroom.